PSA: I may get a little sentimental in this one. I’m going to dive into my past and a bunch of milestones amidst adorable shots of this beautiful little family. As I reflect on this session, I can’t help but feel immense happiness and gratitude. For starters, I’m finally doing what I love, FULL TIME, and that’s a big part of it. But I wouldn’t be where I am without the incredible people I’m surrounded by and have the pleasure of working with. 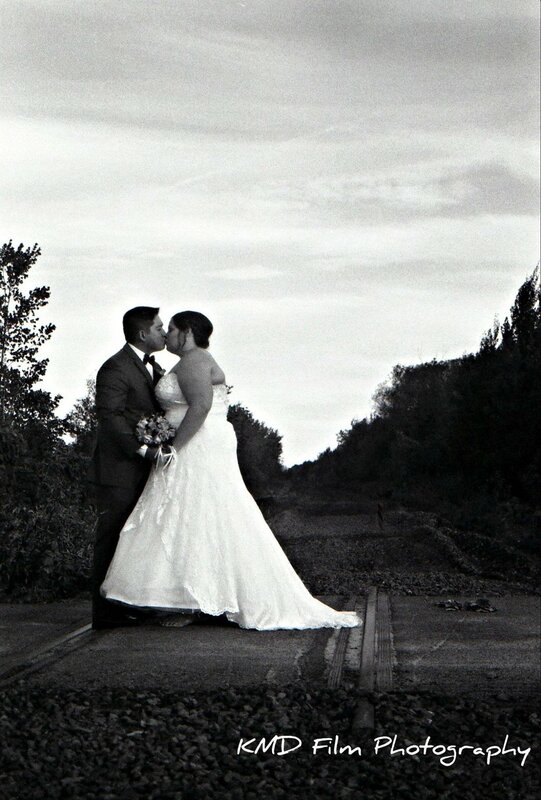 In a way, this couple started everything for me as a photographer. Meet Katie & Len, who now have a gorgeous 9-month old baby girl. Uhhhhh… Kristin? Yeah, this is no joke. I started in a school gymnasium, where you would find me many weekends displaying and (hopefully) selling my original 35mm art prints. And this was my life, until I sold a certain cute little print of my VW cabrio. I received a message a while later; Katie LOVED that I still shot on film, had gotten engaged, and wanted to know if I would take photos for them. Well, I had honestly never entertained the idea of working with people, I simply loved shooting and playing in my darkroom. Nevertheless, I accepted, and this was turning point #1. As I nervously scanned my film and burnt the images onto a CD (**OLD SCHOOL), I was sincerely worried how I had done. I didn’t even know how to edit on a computer! All I knew was darkroom fixes!! Well, they loved them, and at a HUGE surprise to me, they asked me to shoot at their wedding in the fall. HOLY SH** RIGHT?! My first wedding. I had no clue what I was doing, I took black and white photos of cars and nature and weird close-ups of bathroom fixtures, not WEDDINGS. But you know what? I fell in love. I saw potential, and the glimmer of something emerged. Flash forward a few years: they’ve built themselves a beautiful family, and I’ve built myself a business. Katie and Len have grown with me over the years, and still adore my style 4 shoots later. A couple weeks ago, I spent a beautiful sunny Sunday morning in their home, catching up and capturing precious & playful moments. Could I ask for anymore?